He is among three statewide officials facing swirling controversies. 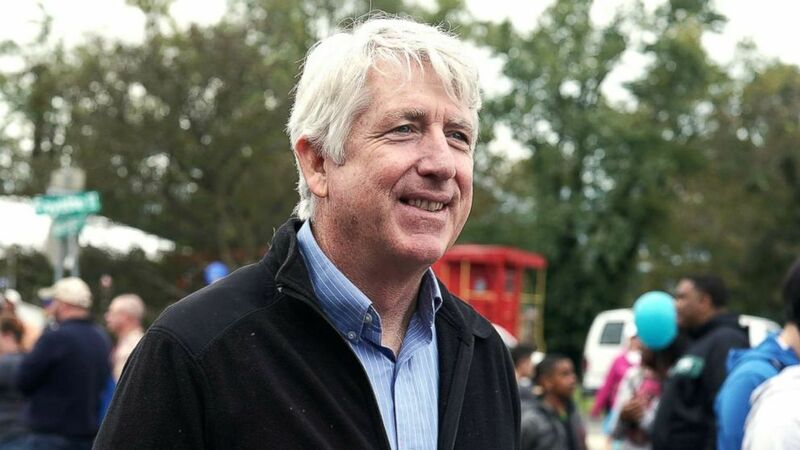 Virginia's Attorney General Mark Herring, who is white and is third in line for the governorship, is now apologizing for attending a 1980 party dressed as rapper Kurtis Blow and wearing brown makeup on his face. (Alex Wong/Getty Images, FILE) Virginia State Attorney General Mark Herring participates in the annual Haymarket Day parade in Haymarket, Va., Oct. 20, 2018. "In 1980, when I was a 19-year-old undergraduate in college, some friends suggested we attend a party dressed like rappers we listened to at the time, like Kurtis Blow, and perform a song," Herring wrote in a statement, "It sounds ridiculous even now writing it. But because of our ignorance and glib attitudes – and because we did not have an appreciation for the experiences and perspectives of others – we dressed up and put on wigs and brown makeup." "That I have contributed to the pain Virginians have felt this week is the greatest shame I have ever felt," Herring added, "In the days ahead, honest conversations and discussions will make it clear whether I can or should continue to serve as attorney general, but no matter where we go from here, I will say that from the bottom of my heart, I am deeply, deeply sorry for the pain that I cause with this revelation." 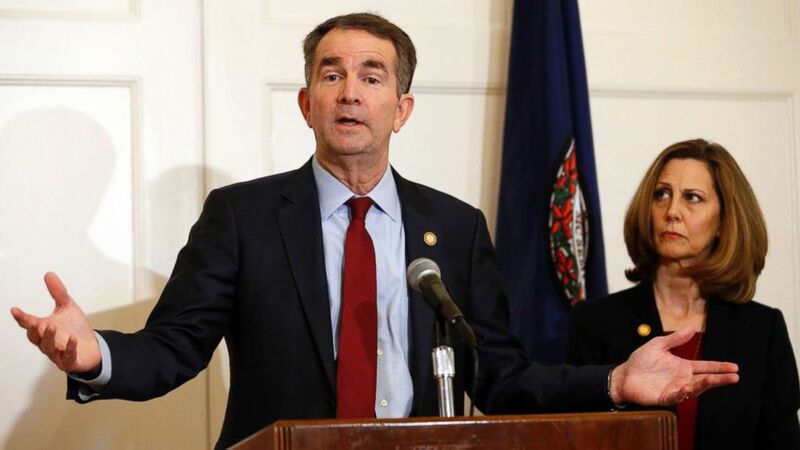 The latest conflict has meant all top three elected officials in the state of Virginia, all Democrats, are mired in controversy as a chaotic situation has cast serious uncertainty over who will lead the state in the coming weeks. When asked about the Herring controversy by ABC News on Wednesday afternoon, Virginia Sen. Mark Warner said he was "shocked," and "incredibly disappointed." Virginia's sitting governor, Ralph Northam, has not resigned despite widespread calls to step down over a racist photo in his 1984 medical school yearbook surfaced. Northam, after initially saying he did appear in a photo that showed one man wearing blackface and another in a Ku Klux Klan robe, changed course in a Saturday news conference where he said he does not believe he was either person in the photo. A spokeswoman for Northam confirmed to ABC News Wednesday afternoon that the governor met with leaders of the Southern Christian Leadership Conference (SCLC), including the organization's chairman, Dr. Bernard LaFayette. The SCLC is a "nonprofit, non-sectarian, inter-faith, advocacy organization that is committed to nonviolent action to achieve social, economic, and political justice," according to the organization's website. (Steve Helber/AP) Virginia Gov. Ralph Northam, left, accompanied by his wife, Pam, speaks during a news conference in the governor's mansion in Richmond, Va. Both of Virginia's U.S. senators, all major Democratic presidential candidates, former Virginia Gov. Terry McAuliffe, Attorney General Herring and the Democratic caucuses in both the Virginia House of Delegates and State Senate have called for Northam's resignation. Northam has not made any public comments about the controversy or his political future since his Saturday news conference. Deepening the chaos is the situation facing Lt. Gov. 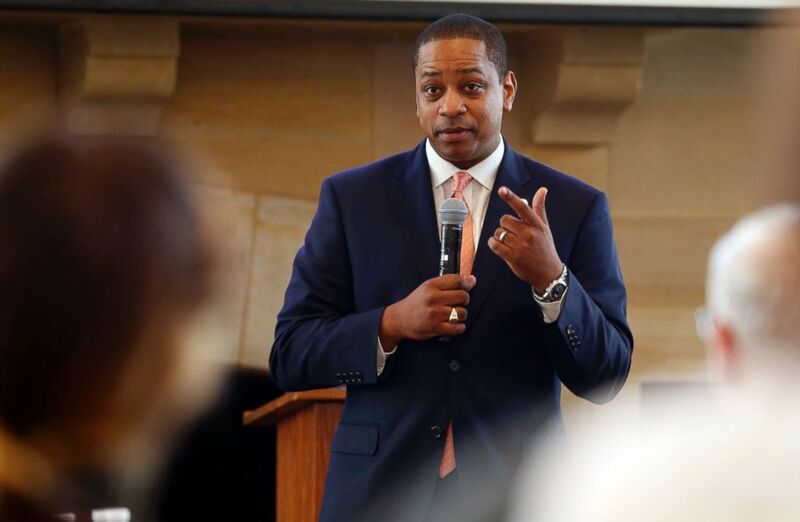 Justin Fairfax, the man who would succeed Northam if he steps down, and who is continuing to face questions over an unconfirmed report surfaced about an alleged sexual misconduct incident from 2004, an allegation he vehemently denies. (Steve Helber/AP, FILE) Virginia Lt. Gov. Justin Fairfax gestures during remarks before a meeting in Richmond, Va., Sept. 25, 2018. Fairfax also released a new statement Wednesday saying that he takes the situation "very seriously." "Regarding the allegation that has been made against me -– while this allegation has been both surprising and hurtful, I also recognize that no one makes charges of this kind lightly, and I take it and this situation very seriously," Fairfax wrote. "This has been an emotional couple of days for me and my family. And in my remarks on Monday, I think you could hear how emotional dealing with an allegation that I know is not true has been for me." ABC News has confirmed that the name of Fairfax's accuser is Dr. Vanessa Tyson. Tyson's legal team confirmed her name to ABC News on Wednesday and she has given permission for her name to be used publicly. In a lengthy statement released on Wednesday, Tyson recounted the alleged incident with Fairfax in detail. "On the night of Friday, February 1, 2019, I read multiple news accounts indicating that Virginia Lt. 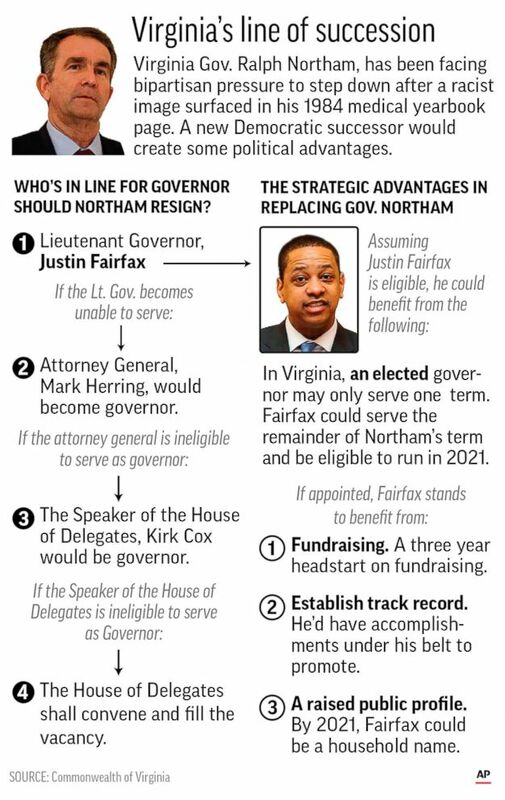 Governor Justin Fairfax would likely be elevated to Governor as an immediate result of a scandal involving Governor Ralph Northam. This news flooded me with painful memories, bringing back feelings of grief, shame, and anger that stemmed from an incident with Mr. Fairfax that occurred in July 2004 during the Democratic National Convention in Boston," Tyson wrote in a statement released through her legal team. In her statement, she detailed what she said began as a consensual encounter and "quickly turned into a sexual assault." Tyson went on to write that "After the assault, I suffered from both deep humiliation and shame. I did not speak about it for years, and I (like most survivors) suppressed those memories and emotions as a necessary means to continue my studies, and to pursue my goal of building a successful career as an academic." ABC News has also obtained a statement of support from a friend of Dr. Tyson. "Vanessa has always been forthright and matter of fact with me about all things and was no different in regards to this incident," the friend's statement read, "I trust her beyond measure and know how this incident haunted and traumatized her because she told me so and because I know her well and could hear the anguish in her voice. She sounded resigned, yet disgusted, frustrated, and infuriated in a way that I can sadly recognize from personal experience." ABC News has also reviewed text messages that support this friend's claim that she spoke with Tyson about the incident in October of 2017. Tyson has hired the legal services of Katz, Marshall and Banks, the same law firm that was retained by Dr. Christine Blasey Ford, a California psychology professor who accused Brett Kavanaugh, then-President Trump's nominee for the U.S. Supreme Court, of sexual misconduct. Kavanaugh denied the claims and was later confirmed by the U.S. Senate. If neither Northam, Fairfax or Herring is able to assume the position of governor, the fourth in line for the job would be the Republican Speaker of the Virginia House of Delegates, Kirk Cox. Cox, who has served in the House of Delegates since 1990, was elevated to the position of Speaker in 2018 after the GOP barely retained control of the chamber in the state's 2017 state legislative elections. (AP) Graphic highlights the line of succession for Virginia governor and looks at strategic advantages democrats could benefit from. The party officially gained control when now-GOP Delegate David Yancey drew his own name of a bowl, which made him the victor in his race against Democrat Shelly Simonds. That result enabled Republicans to maintain control of the House of Delegates and make Cox the speaker. ABC News' Kaitlyn Folmer, Soo Yoon and Mariam Khan contributed to this report.